When the kids are having a meltdown, savvy parents will keep their cool with this fun compendium of silly games, unexpected stunts, and wow-inducing facts designed to entertain little ones aged 27. This book features more than 100 clever ideas for simple and inexpensive activities that are appropriate for restaurants (Impressions with Straws), the supermarket (Go Fish), and long plane rides (Crush a Bottle Without Even Touching It!). Whether they're making raisins dance or whistling with an acorn, kids will beamazed (and distracted) by their Mama . 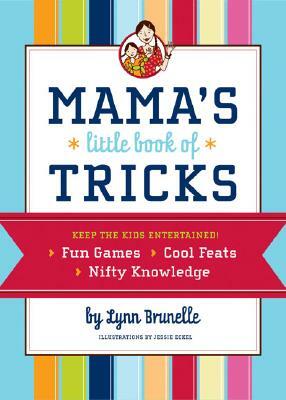 . . thanks to her Little Book of Tricks. Lynn Brunelle is an Emmy Award-winning writer and illustrator whose projects range from the board game Cranium to PBS's Bill Nye the Science Guy. She lives in Seattle with her husband and young sons. Jessie Eckel is a London-based illustrator.